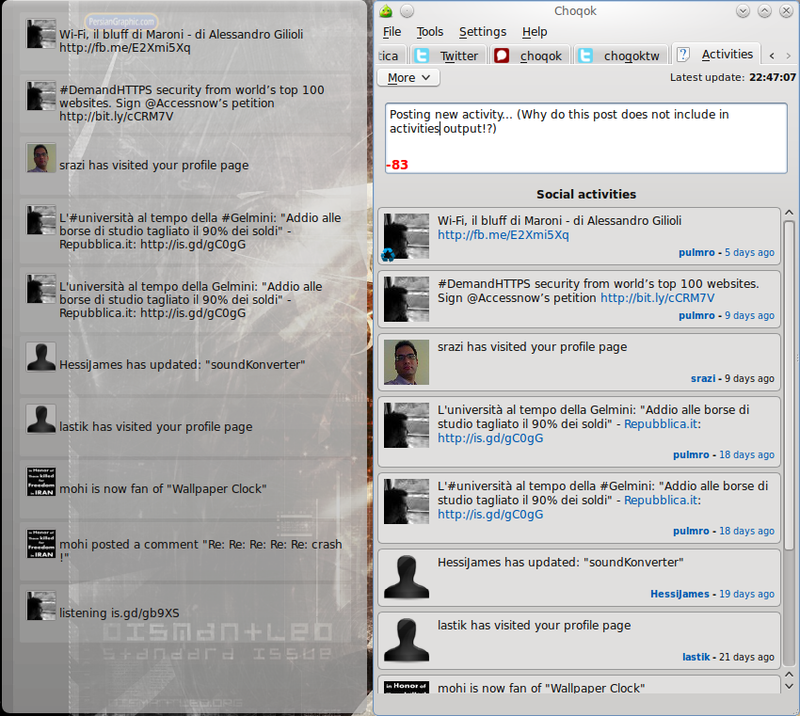 I was working on Blogilo‘s new webkit based WYSIWYG editor to get it ready for KDE PIM 4.6 release, these days. And I haven’t much time to work on Choqok. Of course We use Attica library and didn’t implement the API again, I think we can use some other parts of API to have more/better information/support here. What about Choqok version 1.0?